2.5” x 10” x 3"
Every kitchen needs a good set of measuring spoons. 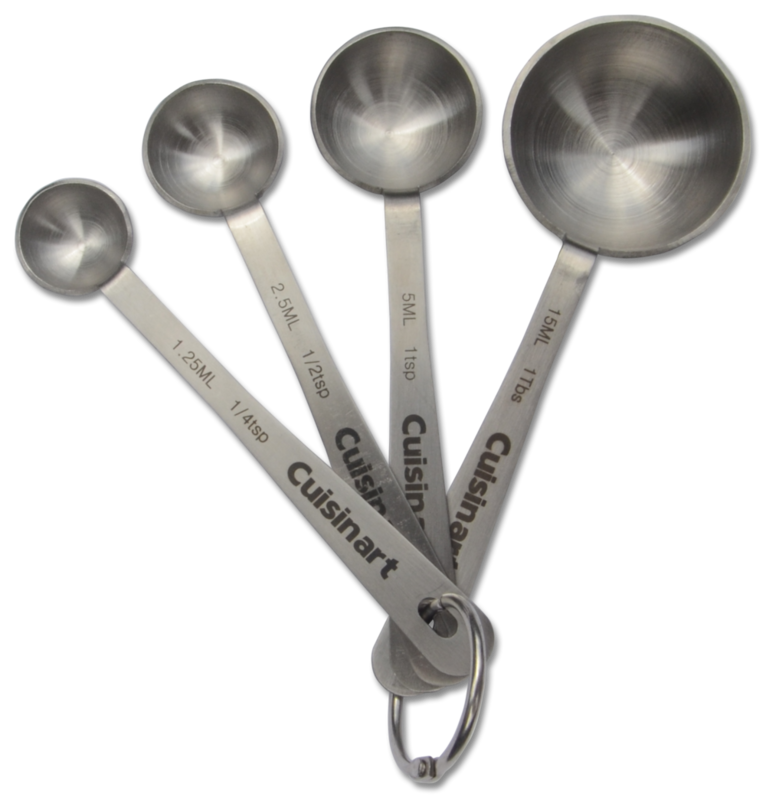 Cuisinart’s stainless steel measuring spoons come in 1, 1/2, 1/4 teaspoon and 1 tablespoon sizes and are kept neatly together on a storage ring. Stainless Steel. Lasts a lifetime.